Royal Caribbean Cruises Ltd has said that Majesty of the Seas would transfer from its Royal Caribbean International cruise brand to its Pullmantur brand in 2016. 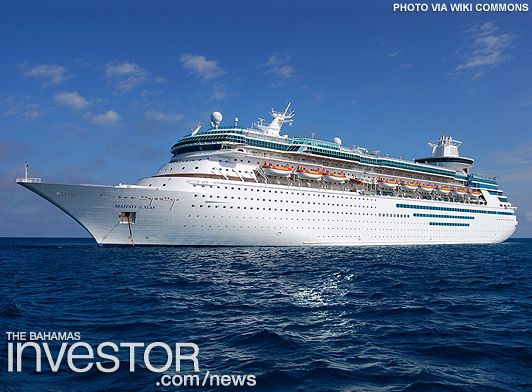 Royal Caribbean Cruises Ltd. (RCL: Quote) said Majesty of the Seas would transfer from its Royal Caribbean International cruise brand to its Pullmantur brand in 2016. Majesty of the Seas’ last 3-night sailing for Royal Caribbean International will depart on April 29, 2016. She will then enter dry dock before joining the Pullmantur fleet, allowing her to be tailored to fit Pullmantur’s brand standards and offerings. This is an excerpt from RTTNews as it appeared on November 25, 2014. For updates or to read the current version of this post in its entirety, please click here. Prime Minister Perry Christie addressed the 38th Annual Conference on the Caribbean and Central America, November 21. The Commonwealth of The Bahamas and The Republic of Cuba celebrated 40 years of diplomatic relations with a reception held at Hotel RIU Palace Paradise Island November 24.